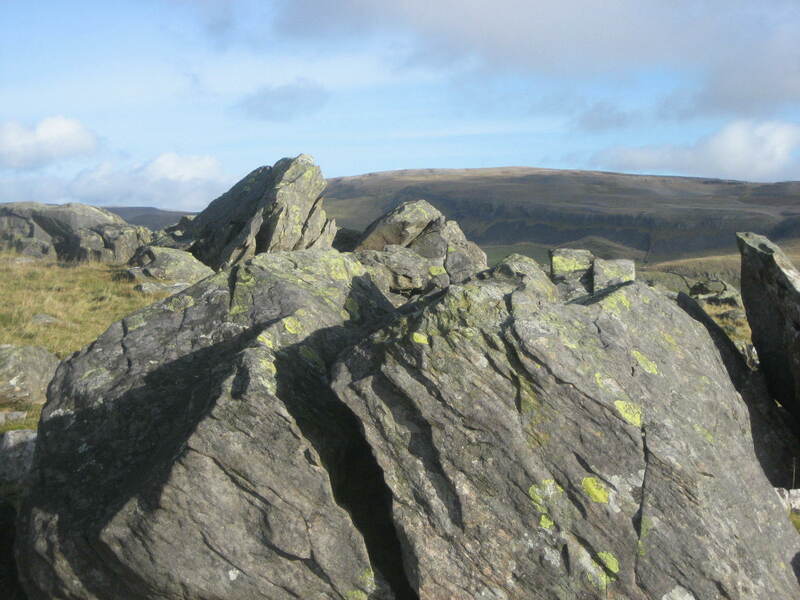 Named by Murchison (1839) in his great work The Silurian System, after the ‘Silures’ Tribe that inhabited the Southern Welsh borders, the Silurian rocks of the Ingleborough area can be seen well in Crummackdale. 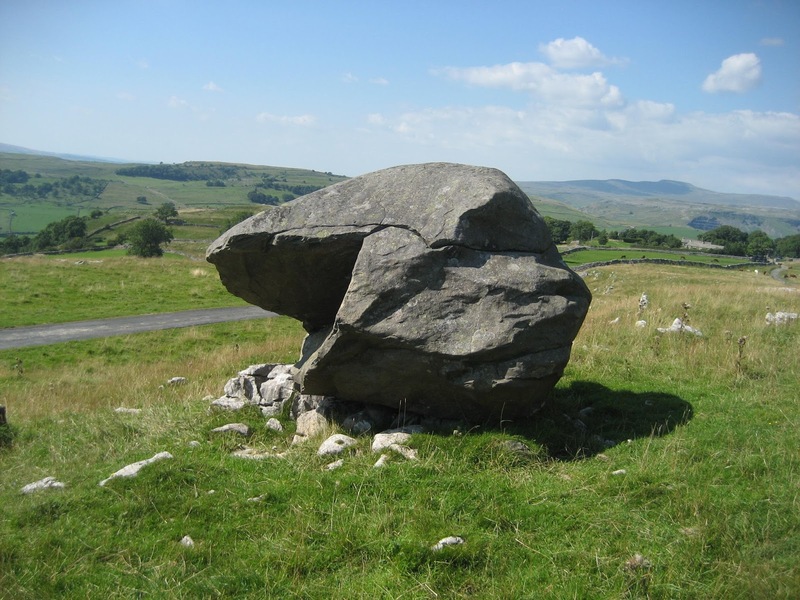 Here, they have been plucked from the sides of the valley by moving ice during the Devensian glaciation, before being ceremoniously dumped on the limestone benches behind Austwick: the classic ‘Norber Erratics’ so well-known to geography and geology students alike. The period began some 440 million years ago at the end of the Ordovician, when deep water basements of the Iapetus Ocean were being infilled with sediments, narrowing the ocean until, aided by earth movements, it closed altogether. Most of the Silurian rocks were therefore formed in shallow waters. The rocks tend to differ in texture from the older Ordovician slates, but there is an amazing contrast between rock types of similar ages. 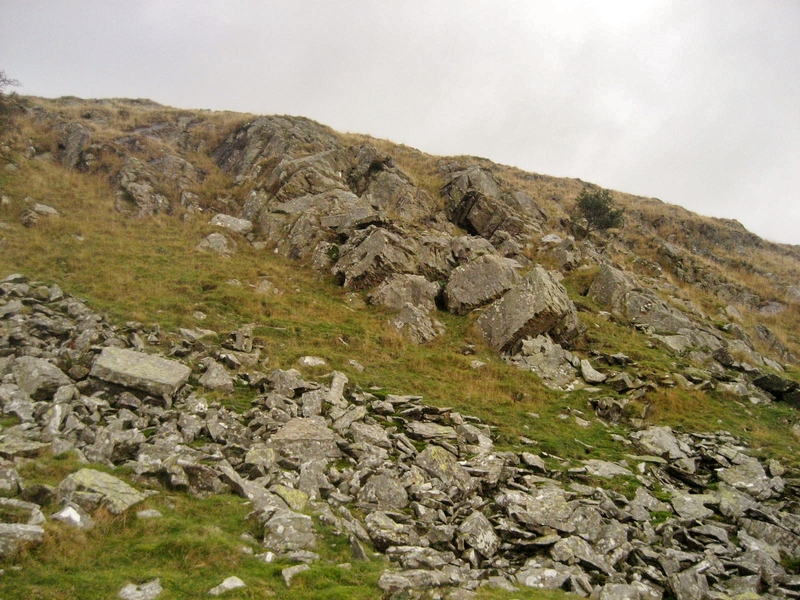 On Studrigg Scar in Crummackdale, on the east of the Ingleborough massif, horizontal beds of Carboniferous Great Scar Limestone rest on distinctly dipping and folded beds of older Silurian rocks, tilted to an angle of 70 degrees. Clearly, earth movements in the late Silurian must have been on a spectacular scale, buckling the great beds of rock and further narrowing the Iapetus Ocean in the process. The Silurian rocks around Ingleborough are also famous for their spectacular ‘flute casts’: hollows scooped out of the clays of what later became beds of rock; the cavities later filled in by sand and sediment from the cloudy waters of the ocean. These are well seen at Newfield Crags near Helwith Bridge. Trilobites, graptolites, corals and brachiopods are well-known fossils from the Silurian rocks, but good examples are difficult to find and best kept a well-guarded secret.